Fifa will not take disciplinary action against Croatian side HNK Rijeka after dropping Manchester City's allegation of racism during an under-21 friendly. 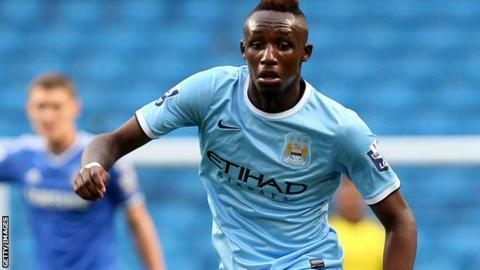 City development coach Patrick Vieira took his side off the pitch after Seko Fofana, 19, complained he suffered racial abuse in July's match. "There were not enough elements to justify the opening of disciplinary proceedings," said Fifa. Rijeka called the claim "baseless" after the match was abandoned. French midfielder Fofana was sent off for an off-the-ball challenge shortly before half-time, and then made the allegations which led to the players leaving the field. "The chairman of the Fifa disciplinary committee was pleased to observe that Davor Suker, the Croatian Football Federation president, and Patrick Vieira engaged positively to work through the issue," added the world governing body. Fofana joined City from French club Lorient in 2013 but has yet to make his first-team debut. He joined Championship side Fulham on loan last month. Last October, City midfielder Yaya Toure called for stronger action against racism after he was subject to chanting from CSKA Moscow fans. The Russian club were fined 50,000 euros by Europe's governing body Uefa and ordered to close part of their stadium.